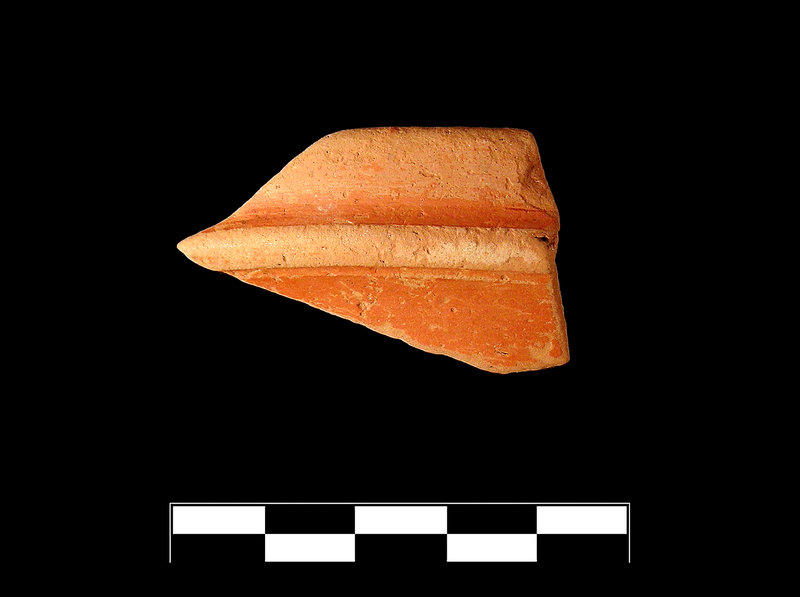 Conical cup. Concave flaring wall. Vertical rim with worn molding on bottom and rounded lip; groove on exterior defines lower edge of molding; groove in corresponding position on interior. Standard ESB but very fine, highly micaceous fabric; slip typical for ware. One sherd preserves one quarter of rim and small part of upper wall. Slight to moderate, extensive abrasion.